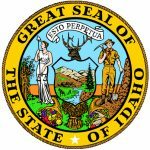 The Idaho Secured Promissory Note Template is a legal document that is entered into by two parties – a lender/borrower. 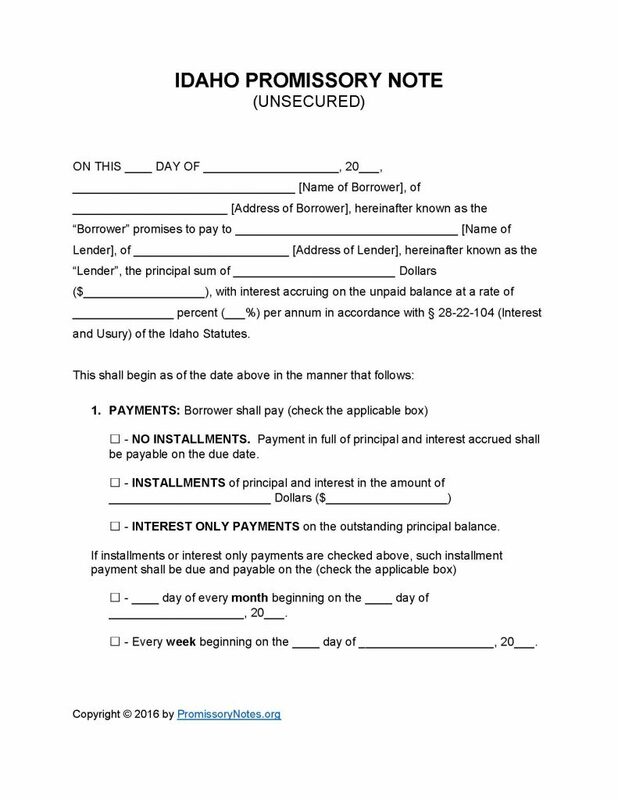 The form serves to establish the details/terms of a loan (e.g. principal sum, interest rate information, payment method, etc.). What separates an unsecured promissory note from a secured note, is that the unsecured note does not have any backing from the borrower (i.e. pledged assets/collateral). Use the links near the top of this page to get the template in .PDF or Word format. Per annum interest rate (in accordance with Idaho State law). Enter the monthly OR weekly due date details. Provide the due date (of the full principal sum – plus additional fees/interest). Step 5 – Interest Due in Event of Default: Should the borrower default on the loan, the interest rate submitted in this subsection will be applied to the balance. Submit the amount of time (enter it in days) that the borrower will have to make a payment (after the first due date). If the borrower does not make the payment within this time frame, the lender has the right to apply a late fee to the account. Provide the agreed upon late fee. When the borrower defaults on the loan, they will have a certain amount of time to “cure” the default before the lender can demand the full balance of the loan due immediately. Provide the number of days in the allotted input field. The lender/borrower are required to provide their printed name, and their signatures. The witnesses must print/sign their names in the appropriate input fields on the bottom of the last page.